Choosing the right domain name for a website is important in several ways. One is branding, another is search engine rankings, and a third is the target audience/market. Mistakes can be made, and it is better to prevent them that to try to correct them, so right from the start of creating a new website, the domain name itself should be given some consideration. The major search engines, such as Google, have regional (country-specific) versions in which people are able to search only for websites and pages that are to do with the country. There are two ways for the engines know which websites are to do with a particular country. One is the location of the server where the site is hosted, and the other is the top level domain name extension (TLD). The UK’s TLDs, for instance, are .co.uk, .org.uk, etc. Unless a website has a country’s domain name extension, or is hosted in the country, it won’t be returned in the results when people search the regional engines for country-specific sites and pages. If a business website is aiming only at people in its own country, then it is important to have a top level domain name extension for that country. Hosting a site with a .com domain extension in the country may be ok if it is hosted in the country, but, if the site targets a country, then it’s much safer to go with the country’s top level domain name extension, and have the site hosted in the country. For a world-wide audience and searches that aren’t country-specific, it isn’t really necessary to consider the TLD, although .com, .net, etc. domain names may be favoured in the search results. Search engines use the words in domain names as a ranking factor, and unless a site is being heavily branded, it is good to include keywords in the domain name. The domain name words should be seperated with hyphens. E.g. london-hotels.co.uk rather than londonhotels.co.uk. Search engines treat hyphens as spaces, so the first domain name is “london hotels” as far as the engines are concerned, whereas the second one is “londonhotels” – all one word, and a word that people don’t search on, so it doesn’t help with the rankings. The first example does help with ranking the site for ‘London hotels’. It goes without saying that, when branding a business or company is important, the domain name should be the name of the brand. Even so, it is still necessary to have a country-specific domain name if the business targets people in a particular country. Using a branded domain name does not prevent the site from doing well in the search engines for its important keywords – it just doesn’t add any help for ranking purposes. Some online brands combine the brand with keywords. For instance, in the UK, we have a TV advertising company called cottages4u. Unfortunately, the word “cottages” in the domain name doesn’t help with ranking it for ‘cottages’, because it isn’t a seperate word. On the other hand, using seperate words (cottages-4u), so that the domain name helps with the rankings, isn’t good for people to type into their browsers. Keywords in domains are helpful for rankings, but not so much that it’s better to include hyphens in a brand name – it isn’t. Seperating keywords with hyphens is good when people are not expected to type the domain URL into a browser but, for branding, it’s better not to use hyphens. Right from the start of creating a website, consideration must be given to its domain name. If the business targets only one country, use the domain name extension of that country. If the business is to be strongly branded, use the domain name for the brand name, and not for keywords, unless they coincide. If the domain name isn’t important as a brand, then make it up of important keywords, seperated by hyphens. On a basic level, domain names are important because the Internet’s addressing scheme is not very effective without them. Thanks for shearing this post.Thank you for this blog.this is a very good site. I like it. thanks.thank you for sharing this great information. domain name is considered as very important in seo. 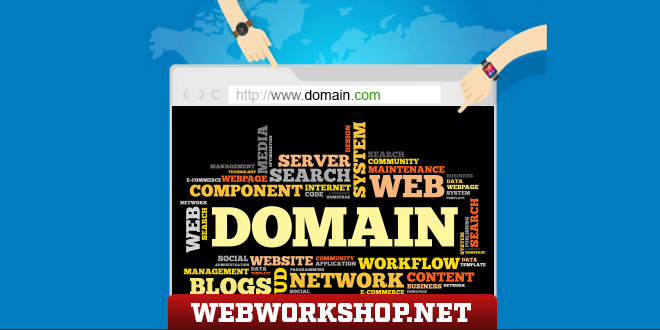 the domain name must be understandable and relevant to the niche so that it will be more handy to use. Good Domain name is very important but now it is hard to find good domain as there are not much available.